Look To The Stars is proud to be involved in one of Hollywood’s premier charity Oscar parties this weekend. 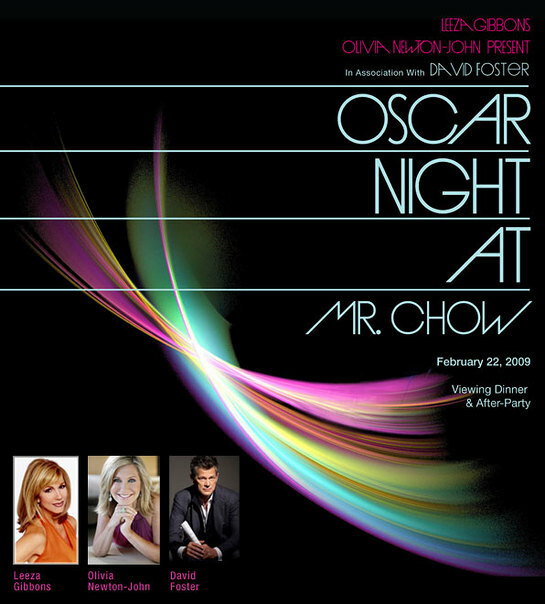 Leeza Gibbons' A Night To Make A Difference will take place on Sunday, February 22, at the iconic Mr Chow in Beverly Hills, with a host of celebrities expected to attend. And Look To The Stars is streaming the event LIVE. This unique event will bring together stars from film, TV, music, sports and fashion to celebrate the worlds of celebrity and charity. Special Ambassadors of Change who have used their celebrity to make a tangible difference in the world will be on hand to empower the audience to make a difference in their own lives. Hosted by Leeza Gibbons, Olivia Newton-John and David Foster, the Night To Make A Difference will attract stars such as Paris Hilton, Jessica Biel, Forest Whitaker, Slash, Alan Thicke, Ashley Tisdale, Brooke Burns, Cheryl Burke, Cheryl Ladd, Chevy Chase, Danny Boyle, Darryl McDaniels, Dee Wallace, Hilary Duff, Holly Robinson-Peete, Jaclyn Smith, Jane Seymour, Joey Fatone, Jordin Sparks, Ken Paves, Mario Lopez, Mel B., Melissa Gilbert, Rick Schroder, Suzanne Somers, Taraji P. Henson, Teri Hatcher, Tony Hawk and many more. Other charities to be involved with the event are Jessica Biel’s Make The Difference Network, the Felix Organization, the Children's Hospice & Palliative Care Coalition, Cancer Schmancer Movement, Blessings in a Backpack, the Red Cross, TreePeople, the Tony Hawk Foundation, the David Foster Foundation, Smiles For Life, The HollyRod Foundation and many more. The event kicks off at 4pm in Beverly Hills with Red Carpet arrivals. For more information and tickets, visit the official Night To Make A Difference website. And be sure to visit Look To The Stars’ special live stream of the event on Oscars night.